Mary Scales MBE and her Norfolk social justice team accepting their award at a ceremony in London. I am proud to lead my passionate team towards meeting the needs of all disadvantaged people in Norfolk, a large diverse county. Many years of working in a 'case conferencing' style has proven to me that partnership working delivers the best results. A new approach was needed to reach as many families as we could with early help interventions that could open up employment to them. I raised the profile of our work and the partnership we had with our local authority, Norfolk County Council, with a Sunflower Campaign called “Support to Grow”. I loved watching the sunflowers popping up everywhere as my team wore their sunflower badges with pride, which often initiated questions from colleagues; the perfect opportunity to promote our work. We use a whole family approach to removing barriers to work and helping families lift themselves from poverty. Utilising all the support that both the local authority and DWP could provide, I was astounded just how much we could offer a family. Amy Brook at Norfolk County Council had to influence her colleagues who then supported the Troubled Families Employment Advisers in their learning to become 'lead professionals'. They in turn supported all Work Coaches in jobcentres to understand the whole family approach and raise the importance of work with families; the impact it has on future generations and communities we all live in. I am delighted and honoured my team won this prestigious award. My team are highly motivated, passionate about helping people find a job that will help them lift them from poverty, free them of crime or welfare dependency and secure the future of their children and benefit communities. The team have sought out employers to encourage them to recruit from the hidden talent pool of ex-offenders. They have set up ‘go-look-see’ visits for employers and arranged for employers go into prison every month with live vacancies to fill. They encourage, support and prepare prisoners for employment and have worked in partnership with the Police and Crime Commissioner to launch the Gateway to Employment campaign, which resulted in 59 employers pledging to support ex-offenders into work. 118 different opportunities have been filled and 19 People secured paid employment in the last 6 months with these employers. They also secured an amazing opportunity for 13 ex-offenders to take up paid employment as Traffic Management Operatives, and even found alternative funding for the required Health & Safety training. Their whole family approach has included creating bespoke opportunities for parents who have multiple barriers to work to get additional support such as organising family friendly jobs fairs. 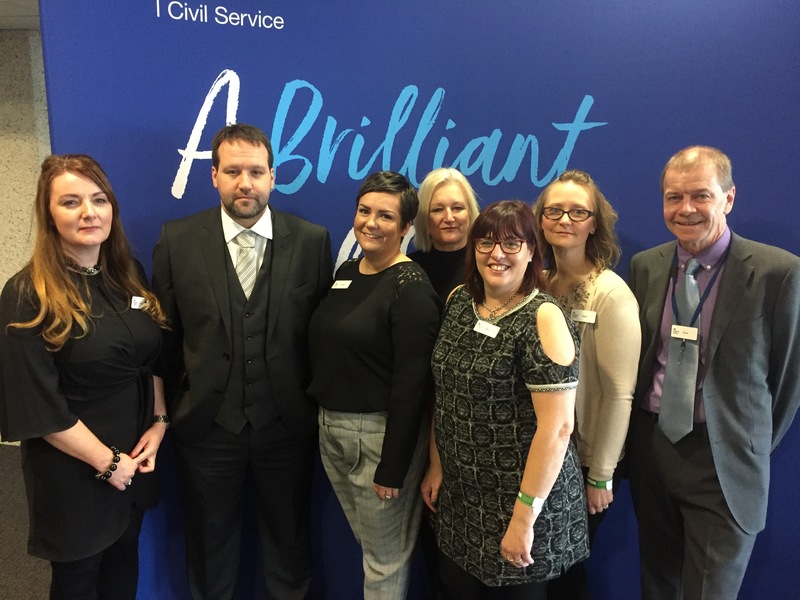 The team won under the category of ‘recognising excellence in improved outcomes’ and were presented with their award by Sir Jeremy Heywood, Cabinet Secretary and Head of the Civil Service.